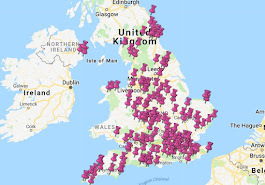 I only managed 11 National Trust scone missions in 2018. But it was an improvement on six in 2017, and the totaliser is now showing 173 National Trust properties visited, which isn't too bad. But I want you all to bear witness: I am giving myself two years to complete this National Trust scone quest. 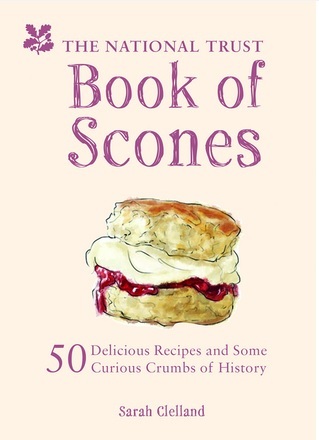 By Christmas 2020, I will have visited the remaining 70-odd remaining properties and we will indeed be able to hail the winner of the best National Trust scone of all time. 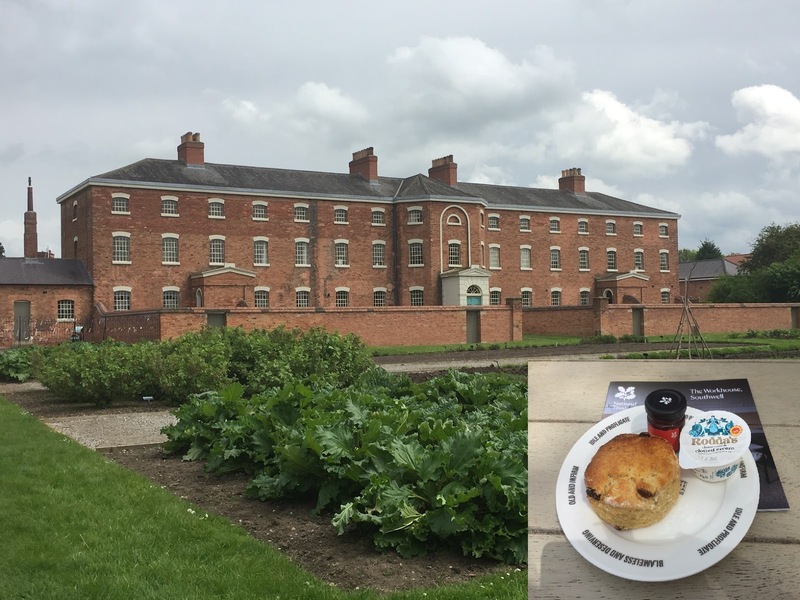 Yorkshire has been a very happy hunting ground for the National Trust Scone Blogger. Goddards, Beningbrough, Treasurer's House, Fountains Abbey, and Nostell Priory have all scored top marks over the past five years, giving Yorkshire an eviable 100% record. So I was almost scared to go to Nunnington in case it let the side down. I needn't have worried - the scone was delicious. I'm not sure I feel entirely comfortable admitting that one of my top scone-eating experiences this year was in a place where destitute and starving Oliver Twists had once been given an approximation of shelter. But The Workhouse in Nottinghamshire wasn't at all what I was expecting - instead of gloom and misery, it was bright and clean. 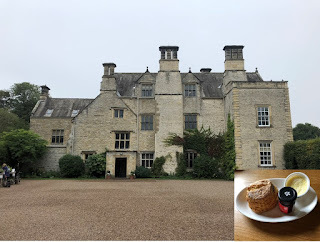 A very unusual and interesting National Trust property with (it has to be said) very tasty scones. Chirk Castle near Wrexham was built by a man called Roger Mortimer in 1295, so I bought a book about Roger Mortimer and read it before I went on my mission. Unfortunately the book turned out to be about the wrong Roger Mortimer. But the Scone Blogger's motto is 'never mind!' and the two Rogers were related so it wasn't a complete waste of time. 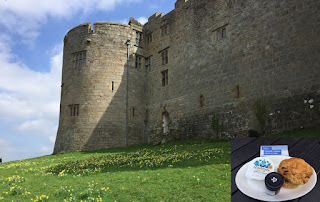 The history of the Roger Mortimers, plus the top quality scone eaten in the courtyard that they may well have passed en route to their murderous/adulterous/general medieval-ous shenanigans made it one of my top visits of the year. My love for the Longshaw scone in the Peak District may have been influenced by the fact that I had to walk a long way for it (Google Maps is telling me it was just under two miles - I'm telling you it was 3 miles MINIMUM) and I had almost given up hope of ever finding a scone, or any form of foodstuff for that matter, when the tea room suddenly appeared on the path before me. But you don't deliver a tasty, lovely, warm scone on a cold January day to the Scone Blogger without being rewarded for it, so it gets a high ranking in my top five of the year. Where do I even start with Shugborough in Staffordshire? It wasn't on my radar at all until a couple of reports started coming in of fantastic scones. There is good reason for this - although the National Trust has owned Shugborough since 1960, the local council ran it until 2016. It has everything: it was the ancestral home of Patrick Lichfield, society photographer, so you can visit his apartments with its pictures of Princess Margaret and Mick Jagger. It has an impressive house; it has expansive grounds with follies and bridges; it has a farm; it has a fascinating history of two brothers and a cat that may have circumnavigated the globe. But most important of all (to me anyway) it has excellent, excellent scones. I swear that I wasn't influenced by the little display of the Book of Scones that they had in the tea-room, but I was definitely swayed by the fruit scone, which was perfection in itself, and the lemon and cranberry scones that they had on offer as well. Totally deserving of their ranking as best National Trust scones of 2018. There are some National Trust properties that are great and they know it - Waddesdon Manor for example, with its house, estate, history, and minibuses. And then there are National Trust places that promise nothing and turn out to be brilliant. Shugborough is definitely one of the biggest surprises I've ever had on this quest and I highly recommend it. My heartfelt thanks as ever to all of the Sconepals who have sent photos of themselves or their scones in 2018 - I appreciate each and every one of them. 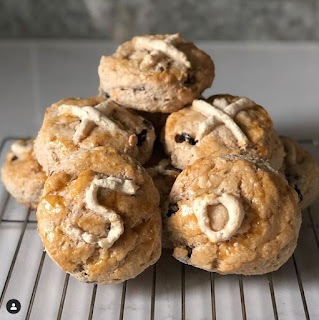 I would like to give a special mention to Cory Putman Oakes, who this year baked all 50 scone recipes from the Book of Scones AND took stunningly beautiful photographs of the results - I hope she doesn't mind me sharing the Hot Cross Scone example below (her 50th and final bake). You can see all the photographic evidence on her Instagram. Thank you, Cory! Happy New Year everyone, and here's to a sconeful 2019!